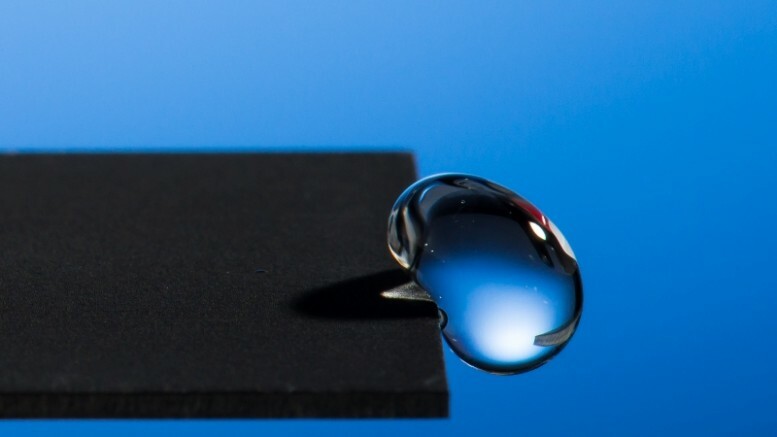 Laser-created super-hydrophobic material causes water to bounce right off its surface! With the help of lasers, an enterprising scientist duo at the University of Rochester has developed an entirely new material that is so hydrophobic that it causes droplets of water to bounce right off of it. Instead of coating a metal with water-repellent chemical, the team made use of laser-engraving to carve a specially-designed microscopic pattern onto its surface. According to the researchers, the substance could potentially be used to prevent rust or ice deposition on aircraft wings. The water falls towards the surface, and is repelled and bounces off the surface. This is achieved by creating a unique pattern of surface structures at micro- [millionth of a meter] and nanoscales [billionth of a meter] with our laser processing technology. Apart from its powerful water-repelling qualities, the material is shown to possess self-cleansing properties. According to the team, it drives water as well as dust particles off its surface. In order to test its cleaning prowess, the scientists first soiled the metal surface with dirt from a vacuum cleaner. Subsequently, they could remove almost 50-percent of the dust particles by applying merely three drops of water. Pouring about a dozen water droplets actually resulted in a completely dirt-free surface. 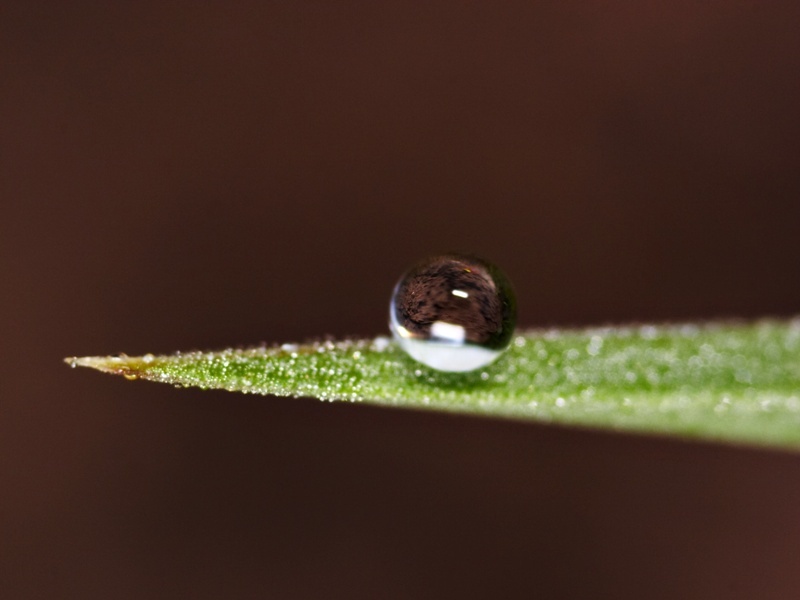 Super-hydrophobic materials are desirable for a number of applications such as rust prevention, anti-icing, or even in sanitation uses. According to the researchers, there are still quite a few hurdles that need to be crossed before the technology is available to the public. Currently, laser-engraving a 1″ by 1″ metal segment takes a total of 1 hour. Apart from trying to speed up the entire process, the team is also looking for ways to adopt the method to non-metallic surfaces.